1. Count the number of weeks you have your group of learners. Doing this in 9-week “Quarter” increments can be effective. 2. 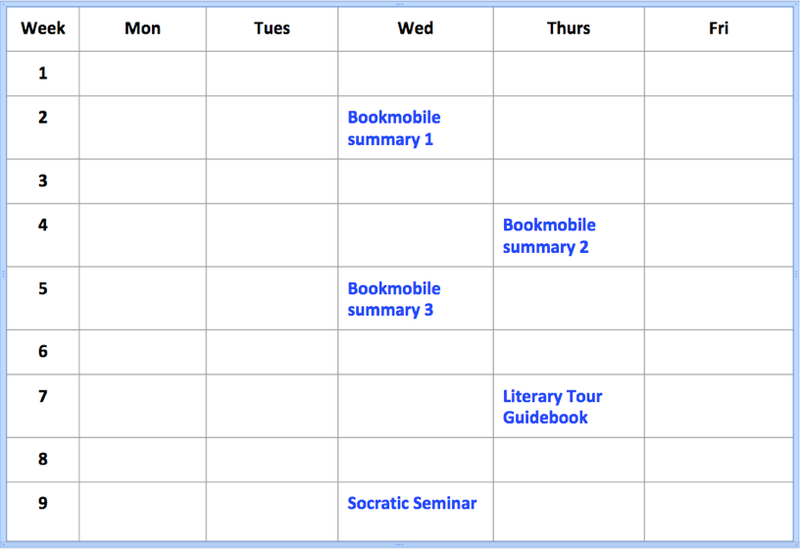 Make a grid of these weeks all stacked on top of each other on paper or electronically. Your goal is to see them all at once. --> What skill does it make sense to address first to establish a foundation? --> Which skills could be taught together? Or taught throughout? --> How can you put them together like building blocks? 1. Step 9 is traditionally where educators have begun their learning design--centered around content rather than skills. 2. Performance-based Summative Assessments (Step 5) are opportunities when students can demonstrate learning and “show what they know”. 3. Personalization happens more readily when formative tasks are skill-based and learners are able to practice those skills within their own interest areas.